How to rant like a literature professor | Write about what? “That was the year I came to class at the start of the new semester and found only one student to sign up for Drama from Aeschylus to O’Neill.” Do you know who Aeschylus or O’Neill were? I assume you know who Ray Bradbury was. The words comes from Ray Bradbury’s book “Fahrenheit 451.” We might be going the same direction as Ray Bradbury predicted. For required reading, my daughter had “Three Cups of Tea” in eighth grade, “Kite Runner” in ninth grade and “A Long Way Gone” in tenth grade and “A Thousand Splendid Suns” in eleventh grade. She felt only “A Long Way Gone” was a quality book. She also realized she was receiving a very lopsided and inadequate education. Why? Evidently the canon of books by dead white men, had been replaced an even more restricted one – living authors that wrote about violence in Africa and the Middle East. The tendency was to concentrate on current, easily consumable, best-sellers in order to get students to read. Students need more help understanding literature that is not from their time. They can read the best sellers as they please. Students will read classic literature if someone is willing to spend the time to walk them through this, even when it is difficult. My daughter is dyslexic. When she was much younger, I asked her pediatrician to refer her for testing. He told me “Read to her, constantly.” So I did. Often, I read old books I had enjoyed as a child, but she still learned that reading was fun and a way to connect with other people. Sometimes, I obtained recordings on computer if she wanted them, because reading was hard for her. However, she relished the time we sat down and read together the most. My daughter asked about the classics that I would recommend; I gave her a long and varied list. She chose “Anna Karenina,” “Faust” and “The Scarlet Letter” over the past three summers. The books were difficult, so we started having discussions. She realized authors are not irrelevant because they wrote in the style of their time. They are not boring just because their books required a lot of thinking. Sometimes we talked about why they were deemed classics, and what the author was trying to do. Soon, my son (four years older) started joining in the discussions. Now, my daughter is both dyslexic and a gifted student, although she was not identified as one until eleventh grade. Just getting a student to read doesn’t give them the richness they need. We are very conceited to think that books written in our time are the most important. There is a reason that some literature from the past has lasted so long, while the rest of it has been forgotten. Classics often require higher reading skills, but they also provide a more diverse picture of life – not just what has occurred in the past ten years. If this doesn’t happen students unfamiliar with classics become teachers unfamiliar with classics and the information is lost to the next generation. If they do not understand what is a classic from the past, how are they going to be able to determine a classic from the present? Recently an American literature teacher who works in a German school read a story he had written. He asked what the class thought his black dog in his story symbolized. 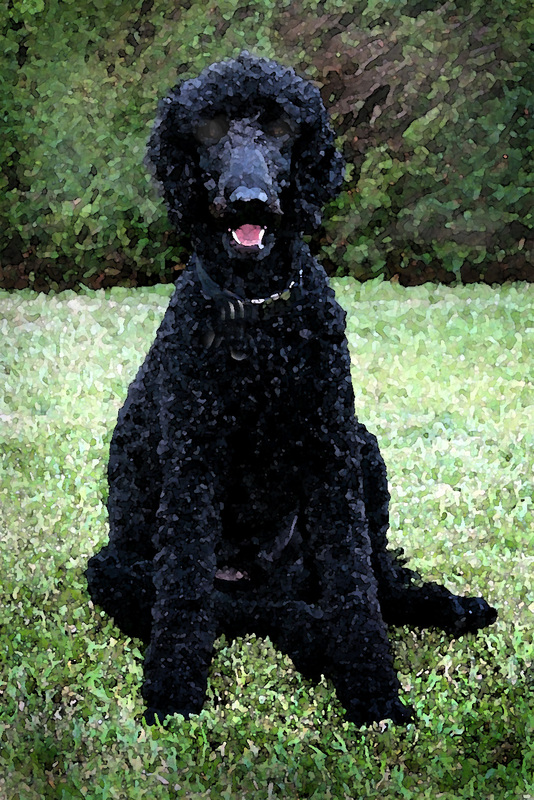 My daughter answered Mephistopheles who first appeared as a black poodle in the German classic “Faust.” It fit because the dog was an indication how the main character, who seemed religious, had committed a horrible crime. However, the poor guy, a recent literature graduate, didn’t even know who Mephistopheles was. This entry was posted in Literature and tagged Aeschylus, Best sellers, Fahrenheit 451, Faust, Literature, literature canon, Middle East, Politically correct literature, Ray Bradbury. Bookmark the permalink.